Please complete this survey to let the committee know if you are interested in joining a club trip to the O Ringen next year. We need to be thinking about accommodation now. Strong winds and heavy rain did little to reduce the enthusiasm of runners at the Nicky Nook event today. Results are now available here and splits analysis by Winsplits Online and Splitsbrowser plus RouteGadget are all available via the Results index. Check out your ranking points on the BOF website. Lost property: one thumb compass. Please contact results@sroc.org to claim. The usual 60 minute score events. Wednesday evenings. Starts 18.00-19.00. Suitable for all. £5/2. Sport Ident. Best three results to count overall. No dogs allowed. All walls and fences must be crossed at stiles or gates. Please be back by 20.00. Check these details before each event for last minute changes. 8/5/13 Black Fell. Parking at Silverthwaite CP GR340037 or on road near Skelwith Bridge Hotel. 5 min walk to start at 343030 – take care following / crossing main roads – riverbank path is an option. 15/5/13 Brantwood. Parking at Machell Coppice CP GR310951. 10 min walk to start. Includes new forest terrain at High Man. 22/5/13 Loughrigg Fell from Brathay Hall, Ambleside. DETAILS PROVISIONAL – check www.waroc.org.uk nearer the time. GR365034. BBQ provided by Brathay (there will be a small charge this year). Prizegiving. Final Details for the upcoming level C event at Nicky Nook are now available. More excellent results from SROC members in today's Middle Champs, including second places for Zoe and Quentin (pictured left and right above) in their respective classes. Also pictured is Helen Ockenden who finished fifth both days. Full results on the DVO website. Saturday's sprint contest at Loughborough University saw World Champion Quentin Harding taking 1st place in M50, while Sue Harding took 2nd place in W50, tied with Alison Harding! Full results are on the LEI website The Middle Distance Champs follow today. Laurence had an outstanding run to win gold in the long distant race at the World School championships in Portugal today (Friday). This comes following a good 10th position in the middle race on Wednesday. Laurence is part of the England junior select team . See results here. As in previous years, training on Tuesdays comes outside during the summer. Meet outside the cafe in the park at 6:30pm for a mixture of physical training, a bit of orienteering and a game of frisbee. Intended to be fun. Donation of £1 for adults towards training expenses. Many congratulations to Zoe Harding on her selection for the GBR team at JWOC 2013. See BOF news. 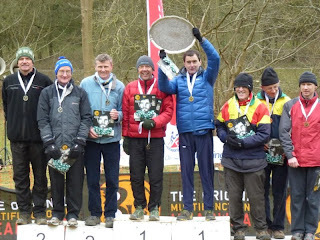 Results for today's event at Dalton Crags are now available here. Also RouteGadget - share your route here. 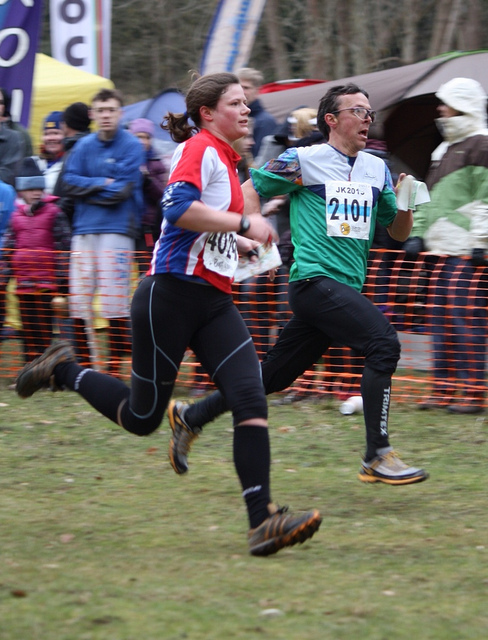 Congratulations to Karen Quickfall, winner of W50S at the JK and SROC's only individual winner this year. Anyone who has ever been connected with Edinburgh University Orienteering Club should read this letter. 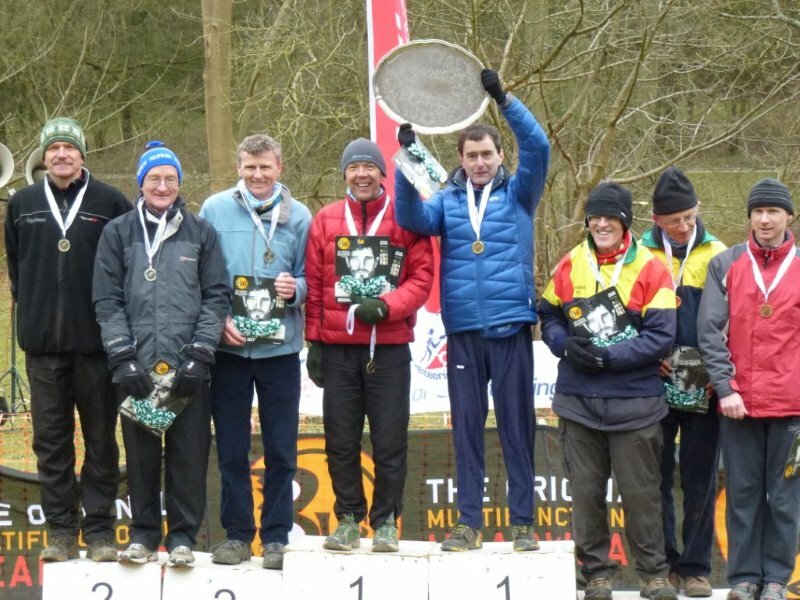 The SROC team of Andy Quickfall, Martyn Roome and Quentin Harding took a dramatic victory in the Veteran Men Class at the JK in Berkshire on Easter Monday. Andy led them off with an excellent 4th, with Martyn on 2nd leg taking 3rd place on the run in. So it was down to Quentin to catch the leaders, which he duly did at the last control, overtaking Steve Webb of AIRE on the sprint out of that control – and after that Usain Bolt would not have caught him! It turned out that AIRE had, in fact, been disqualified by their 2nd leg runner mispunching, so Quentin could have taken it easy! SROC retained the trophy in fact, having won it in Scotland last year. In the picture, Andy had already left, for a date with Harry Potter apparently! There were several other good results on the day, including the Womens Open team of Zoe and Katrin Harding and Heather Gardner taking a fine 7th place. The SROC Veterans Men team of Andy Quickfall, Martyn Roome and Quentin Harding were victorious in the JK Relays today. We thank Wendy Carlyle for this photo of Quentin about to cross the finishing line.